Anxiety is the most common mental illness, it effects about 40 million Americans. If you haven’t been diagnosed with anxiety chances are you still experience stress in your everyday life. Practicing yoga is a great stress relief, with each breathe you feel your body let go of worry, tension, and anxieties. The focus yoga puts on the body helps give way anxiety to thoughts of mindfulness and peace. If you’ve experienced or are currently experiencing any of these symptoms make sure to let your family physician know so you can help get it under control; your not alone. When anxiety finds its way to me I like to do a sequence of yoga poses. You may be thinking “how are yoga poses going to help me right now? !”, Yoga is a great untapped resource by a lot of people. The poses help by releasing stressors and anxieties with concentration on the body and breathing. Giving your mind something other than your anxieties to focus on. If your willing give these poses a try and tell me how you feel afterwards. The outcome will be a welcomed relief and you’ll have a smile on your face once the sequence is finished. I am in no way shape or form a doctor or a yoga instructor, I am sharing what I know to help me. If you’ve had or have back problems or shoulder problems do not try this without consent from your doctor. Sit on your knees that are spaced shoulder-width apart. Take a deep breath and lower your torso down towards your thighs, extending your arms forward. Rest your forehead on the mat and breathe deeply. you’re basically laying down with arms at your side, mentally the corpse pose can be difficult. The goal is to relax your mind as much as your body, so anxiety and stress fully leave. Start by bending your standing leg without lifting the back leg off the floor. Use your whole arm for balance as well, moving the weight of your body forward so it is directly over your front hand and foot. Stay there for a few breaths, allowing the intensity to build in the standing leg until you start to feel solid and stable. Then, press down through the ball and heel of the foot as you direct the center of your kneecap toward the toes. Be sure to turn and open the outer thigh enough to maintain that direction of the knee. Lastly, keep your leg steady as you revolve the shoulders, chest, and abdomen upward. Begin in Standing Forward Fold with your hands or fingertips on the floor at the side of each foot. You can also rest your hands on your shins, or press your palms into yoga blocks at the sides of your feet. Inhale as you raise the front of your torso away from your thighs, straightening your elbows. Lift your collarbones and sternum away from the floor. Reach the crown of your head forward and your tailbone behind you. You can bend your knees slightly to help straighten the torso and spine. Press your fingertips or palms into the floor, to help lift and straighten your torso. Lift your head slightly and gaze forward without compressing the neck. Your torso should be straight. If your back rounds, bend your knees or place your hands higher until your spine is straight. Engage your quadriceps (the front thigh muscles) and draw them up toward the ceiling. Do not lock your knees; keep them slightly bent. Bring your weight to the balls of your feet. Keep your hips aligned over your ankles. Slightly lift and lengthen your torso with each inhalation. Hold the pose for up to one minute. Exhale as you release into standing forward fold. Repeat 5-10 times. Lay with your feet against the wall, bottom touching as well, with your arms down to your sides. Take deep breaths to both center your mind and calm down. Begin by lying on your back with arms at your sides. Slide your hands under your buttocks and keep them there. Then inhale and lift your upper back and head off the floor, pressing your forearms and elbows into the floor. You can keep your legs straight out in front of your, bend at the knee or the most complicated- folded like the Lotus pose. While in fish pose, take several breaths and lower torso and head back down. Begin standing in Mountain Pose with your arms at your sides. Bend your knees. Balance on your right foot and cross your left thigh over your right. Fix your gaze at a point in front of you. Hook the top of your left foot behind your right calf. Balance for one breath. Extend your arms straight in front of your body. Drop your left arm under your right. Bend your elbows, and then raise your forearms perpendicular to the floor. Wrap your arms and hands, and press your palms together (or as close as you can get them). Lift your elbows and reach your fingertips toward the ceiling. Keep your shoulder blades pressing down your back, toward your waist. Square your hips and chest to the front wall. Draw your belly in and up. Gaze at the tips of your thumbs. Breathe smoothly and evenly. Hold for up to one minute, focusing on your breath and keeping your gaze fixed and soft. Gently unwind your arms and legs and return to mountain pose. Repeat on the opposite side. If these poses worked for you then check out my bedtime yoga routine too. It helps curve the restlessness so your not anxious and you drift off to sleep in no time. Somedays are hard, psychically. You ache all over but the worst is your lower back. Your looking for anything that will dull or eliminate the pain. I love yoga, with the right sequence of poses relief is achivable without taking all those medicines. I myself try to yoga my way out of my day. I have a morning, bedtime, stress relief, and a lower back pain routine. I love sharing my yoga experiences and poses that may help you too. If you suffer from lower back pain from an injury, desk job, or fatigued muscles give this routine a try. When muscles are required to work harder than they’re used to, or in a different way, it is believed to cause microscopic damage to the muscle fibres, resulting in muscle soreness or stiffness. Remember to breathe in deep through the nose while doing these poses for maximum relief. 1. Lie supine on the floor, legs strongly extended. If your head doesn’t rest comfortably on the floor, support it on a folded blanket. Exhale, bend the left knee, and draw the thigh into your torso. Hug the thigh to your belly. Press the front of the right thigh heavily to the floor, and push actively through the right heel. 2. Loop a strap around the arch of the left foot and hold the strap in both hands. Inhale and straighten the knee, pressing the left heel up toward the ceiling. Walk your hands up the strap until the elbows are fully extended. Broaden the shoulder blades across your back. Keeping the hands as high on the strap as possible, press the shoulder blades lightly into the floor. Widen the collarbones away from the sternum. 3. Extend up first through the back of the left heel, and once the back of the leg between the heel and sitting bone is fully lengthened, lift through the ball of the big toe. Begin with the raised leg perpendicular to the floor. Release the head of the thigh bone more deeply into the pelvis and, as you do, draw the foot a little closer to your head, increasing the stretch on the back of the leg. 4. You can stay here in this stretch, or turn the leg outward from the hip joint, so the knee and toes look to the left. Pinning the top of the right thigh to the floor, exhale and swing the left leg out to the left and hold it a few inches off the floor. Continue rotating the leg. As you feel the outer thigh move away from the left side of the torso, try to bring the left foot in line with the left shoulder joint. Inhale to bring the leg back to vertical. Lighten your grip on the strap as you do, so that you challenge the muscles of the inner thigh and hip to do the work. 5. Hold the vertical position of the leg anywhere from 1 to 3 minutes, and the side position for an equal length of time. Once you have returned to vertical release the strap, hold the leg in place for 30 seconds or so, then slowly release as you exhale. Repeat on the right for the same length of time. 1. Lie supine on the floor, and if necessary, place a thickly folded blanket under your shoulders to protect your neck. Bend your knees and set your feet on the floor, heels as close to the sitting bones as possible. 2. Exhale and, pressing your inner feet and arms actively into the floor, push your tailbone upward toward the pubis, firming (but not hardening) the buttocks, and lift the buttocks off the floor. Keep your thighs and inner feet parallel. Clasp the hands below your pelvis and extend through the arms to help you stay on the tops of your shoulders. 3. Lift your buttocks until the thighs are about parallel to the floor. Keep your knees directly over the heels, but push them forward, away from the hips, and lengthen the tailbone toward the backs of the knees. Lift the pubis toward the navel. 4. Lift your chin slightly away from the sternum and, firming the shoulder blades against your back, press the top of the sternum toward the chin. Firm the outer arms, broaden the shoulder blades, and try to lift the space between them at the base of the neck (where it’s resting on the blanket) up into the torso. 5. Stay in the pose anywhere from 30 seconds to 1 minute. Release with an exhalation, rolling the spine slowly down onto the floor. 1. Come onto the floor on your hands and knees. Set your knees directly below your hips and your hands slightly forward of your shoulders. Spread your palms, index fingers parallel or slightly turned out, and turn your toes under. 2. Exhale and lift your knees away from the floor. At first keep the knees slightly bent and the heels lifted away from the floor. Lengthen your tailbone away from the back of your pelvis and press it lightly toward the pubis. Against this resistance, lift the sitting bones toward the ceiling, and from your inner ankles draw the inner legs up into the groins. 3. Then with an exhalation, push your top thighs back and stretch your heels onto or down toward the floor. Straighten your knees but be sure not to lock them. Firm the outer thighs and roll the upper thighs inward slightly. Narrow the front of the pelvis. 4. Firm the outer arms and press the bases of the index fingers actively into the floor. From these two points lift along your inner arms from the wrists to the tops of the shoulders. Firm your shoulder blades against your back, then widen them and draw them toward the tailbone. Keep the head between the upper arms; don’t let it hang. 1. Come onto all fours. See that your shoulders are above your wrists and your hips are above your knees. Walk your hands forward a few inches and curl your toes under. 2. As you exhale, move your buttocks halfway back toward your heels. Keep your arms active; don’t let your elbows touch the ground. 3. Drop your forehead to the floor or to a blanket and let your neck relax. 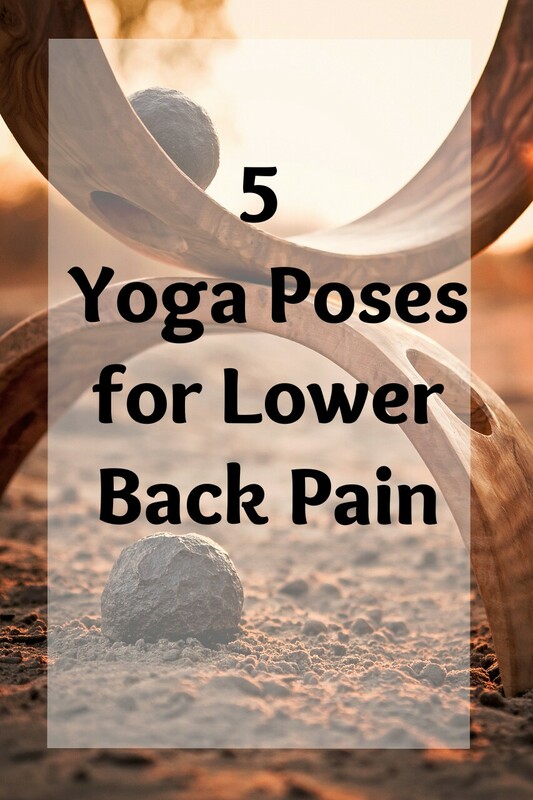 Keep a slight curve in your lower back. To feel a nice long stretch in your spine, press the hands down and stretch through the arms while pulling your hips back toward your heels. 4. Breathe into your back, feeling the spine lengthen in both directions. Hold for 30 seconds to a minute, then release your buttocks down onto your heels. 1. Start on your hands and knees in a “tabletop” position. Make sure your knees are set directly below your hips and your wrists, elbows and shoulders are in line and perpendicular to the floor. Center your head in a neutral position, eyes looking at the floor. 2. As you exhale, round your spine toward the ceiling, making sure to keep your shoulders and knees in position. Release your head toward the floor, but don’t force your chin to your chest. 3. Inhale, coming back to neutral “tabletop” position on your hands and knees. It’s no secret that I love yoga! It does great things for your mind and muscles. I tend to do a daily yoga bedtime routine. I experimented with different poses until I found my optimum destressers (is that a word? I don’t think it’s a word). To each is their own but I’ve told a few friends about my nightly bedtime routine and they’ve tried it and said they sleep like babies (some of them very loud bear like babies). The stretching of worked muscles and ease of a tired mind come together like a harmony of well, great things. If you find some of these poses are a little too much then cut back the stretch or cut it out all together. You’ll also want a quality yoga mat to prevent injury as well. The idea is to relax enough to fall asleep and rest your mind enough to stay asleep. You’ll wake up refreshed too (that’s your body’s way of thanking you)! The preparatory position is with the hands and knees on the floor, hands under the shoulders, fingers spread wide, knees under the hips and typically about seven inches (17 cm) apart, with the spine straightened and relaxed. On a deep exhale, the hips are pushed toward the ceiling, the body forming an inverted V-shape. The back is straight with the front ribs tucked in. The legs are straight with the heels reaching to the floor. The hands are open like starfish, keeping the forefinger and thumb pressing down on the floor/mat. The arms are straight, with the inner elbows turning towards the ceiling. If one has the tendency to hyper extend elbows, keeping a microbend to the elbows prevents taking the weight in the joints. Turning the elbows up towards the ceiling will engage the triceps and build strength. The shoulders are wide and relaxed. Line up the ears with the inner arms which keeps the neck lengthened. The hands are shoulder width apart and feet remain hip-width apart. If the hamstrings are very strong or tight, the knees are bent to allow the spine to lengthen fully. The navel is drawn in towards the spine, keeping the core engaged. The hips move up and back. Focus is on the breath while holding the asana, with deep, steady inhalation and exhalation creating a flow of energy through the body. On an exhale, the practitioner releases onto the hands and knees and rests. In this asana, the body faces the floor in a fetal position. The knees and hips are bent with the shins on the floor. The chest can rest either on the knees or the knees can be spread to about the width of a yoga mat, allowing the chest to go between the knees. The head is stretched forward towards the ground – the forehead may touch the ground. The arms may be stretched forward in front of the head or backwards towards the feet. Begin with your hands and knees on the floor. Make sure your knees are under your hips, and your wrists are under your shoulders. Begin in a neutral spine position, with your back flat and your abs engaged. Take a big deep inhale. On the exhale, round your spine up towards the ceiling, and imagine you’re pulling your belly button up towards your spine, really engaging your abs. Tuck your chin towards your chest, and let your neck release. This is your cat-like shape. On your inhale, arch your back, let your belly relax and go loose. Lift your head and tailbone up towards the sky — without putting any unnecessary pressure on your neck. This is the Cow portion of the pose. Do this for several breaths. Bend your right knee and place your right heel as close to your right sit-bone as you can. Then bend your left knee and cross your left foot over your right knee. Plant it on the floor so your left ankle is next to your right knee. Reach your left arm behind you and place your palm on the floor. Then bend your right elbow and cross it over the outer side of your left knee. Keep your elbow bent, or if you can, hold onto your left toes. Keep your left hand on the floor for stability, or bring your left arm around your lower back. Reach for your shirt, or if you can, hook your fingers on the top of your right thigh. Gaze behind you and over your left shoulder. Continue pressing your right arm into your left knee, and use each inhale to lengthen the spine and each exhale to rotate further to the left. Do this for at least 6 breathes. Lie flat on your back, preferably without any props or cushions. Use small pillow below your neck if absolutely required. Keep your legs comfortable apart and let your feet and knees relax completely, toes facing to the sides. Place your arms alongside, yet a little spread apart from your body. Leave your palms open, facing upward. Taking your attention to different body parts one by one, slowly relax your entire body. Keep breathing slowly, gently, deeply and allow your breath to relax you more and more. The incoming breath energizes the body while the outgoing breath brings relaxation. Drop all sense of hurry or urgency or any need to attend to anything else. Just be with the body and the breath. Surrender the whole body to the floor and let go. After some time, about 10-20 minutes you should feel fully relaxed.